Not all plants are hardy in cold regions. You can identify if yours are if you know the United States Department of Agriculture zone for each plant. However, even plants in the correct zone may suffer from cold damage. 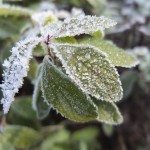 Why does cold affect plants? The reasons for this vary and depend upon site, soil, duration of cold, and other factors. How plants are affected by cold also varies depending upon the type of plant and the above factors. USDA guidelines for plant hardiness are just that, guidelines. The actual hardiness of a plant will fluctuate according to the microclimate, exposure, water and nutrient intake, and the overall health of a plant. The reasons cold affects plants abound, but we will try to narrow down the most obvious culprits. 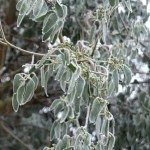 Why Does Cold Affect Plants? All conditions experienced by a plant affect its health and hardiness. A lack of water may cause wilting and sometimes death in plants. Excess or a dearth of nutrients can also contribute to negative plant health. In this way, so too can weather conditions cause damage to plant vitality. Cold freezes the cells in a plant, causing damage and interrupts the pathways for nutrients and water to flow. In small branches and twigs, the living xylem is much more affected by cold than the cambium and phloem. This tissue is not dormant and the effects of cold in plants results in blackened stems and tissue death. Desiccation, sunscald, salt damage, heavy snow breakage and numerous other injuries are also how plants are affected by cold. The effects of cold in plants are most noticeable in plants that are marginally hardy or those that have not properly hardened off. Cold damage also shows up in early spring when a warm period encouraged new growth, which is particularly susceptible to a sudden freeze. Temperature is a huge factor that breaks dormancy in seeds and plants, starting the growing cycle anew. While you may have a hardy plant for your zone, conditions such as microclimates can minimize that hardiness. Low areas hold cold pockets that can lower temperatures significantly. These locations also gather moisture which will freeze and cause frost heaves, damaging roots. Plants on higher locations become victim to cold winds and sunscald caused by exposure to winter sun. Often the damage is not noticeable until spring growth returns. For this reason, considering plants’ growth and temperatures they will be encountering is an important factor when locating plants. Because of the number of reasons cold effects plants, protection must start at planting. Choose hardy specimens or even native plants, which adapt best to their climate. Locate the plant where it will have some shelter. Apply mulch around the base of plants to protect the root zone. In areas with unpredictable weather, frost barriers may be useful, placed over trees, shrubs and sensitive plants. Any plant that is marginal should be avoided but in instances where you just can’t resist purchasing one, place it in a container and bring it inside a garage or basement until all danger of frost has passed. Weather can be extremely unpredictable, so be sensible in plant location and choice, and provide sheltered areas for your prized specimens. This will help ensure your plants over winter with minimal harm.